South Korean Electronics giant ‘Samsung mobile’ is just days away from launching its latest collection of Android device and you won’t believe the devices (Galaxy S8 and S8+) have suffered a set back already. 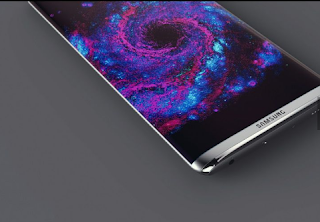 Samsung's most anticipated smart phone, Galaxy S8 which is yet to be released may have suffered a huge set back after various hardware features of the gadget was leaked online. Samsung has always had a Home button at the front of most of it's devices but is set to expunge it from the new Samsung Galaxy S8, and Galaxy S8+ gadgets. Do not be surprised when you see a virtual on-screen keys as previous leaks has shown the device has the features. The Galaxy s8+ comes with an all new impressive 6.2 inch AMOLED screen resolution. Just like the S7, the Samsung galaxy s8 will comes with a 5.8 inch QUAD HD screen display. The mobile phone giant may have re-positioned the finger print scanner by moving it to the back of the gadget instead of placing it under the glass as anticipated. There have been rumoured leaks about the phone's hardware but not much is know abut the phone's software features. Samsung users sighted the hardware features of the new android Nougat device online after screenshot of the device was leaked. The galaxy s8 is one android device to watch out for in the coming months. So many graphic designers have given a rendition of how the device may look like. The new smart phone which is set to launch in the United Kingdom come April 2017 will come with an edge-to-edge display with the device having no buttons. With series of screenshot grabbed from Samsung smart switch, an android application that allows Samsung users to transfer data between Samsung devices- little is now known about the Galaxy s8 operating system. All thanks to SamMobile, a tech blog that released the screenshots. According to the images released by SamMobile, the galaxy s8 comes with Google's open-source Android OS. It has also been rumoured that Samsung will also use this same feature in the Galaxy s7 edge which are currently being upgraded. 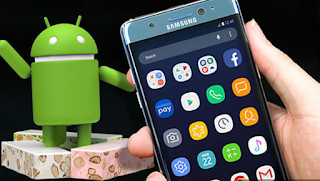 According to SAMMOBILE, the leaked photos reveal the latest version of Samsung's heavily-skinned Android Operating System. It is also confirmed that Samsung mobile has also tweaked the design of the Home Button, Multi-Tasking and Back button – ditching the square, circle and triangle used by almost every other Android manufacturer. From the leak, there is an introduction of an edge screen that enables users to access contacts, sports, headlines, news quickly. Not much has been heard about the audio features of the galaxy s8 and s8+ gadgets but they will be hitting the retail shelves with redesigned Gear VR headset. As we all know, Nigerians love mobile gadgets. These devices are already available for pre-order and may be on sale in the UK come April. Samsung has never disappointed me when it comes to mobile gadgets, but I just feel they don’t carry out major tweaks on their new devices. They end up just making a few tweaks.